If you live anywhere in the Greater Chicagoland, you’ve definitely encountered hail. In the average year, roughly 10,000 to 12,000 hail reports are received by National Weather Service. Of all forms of precipitation, hail is the most destructive. Hailstones fall at least 22 mph, but they can fall up to 100 mph. 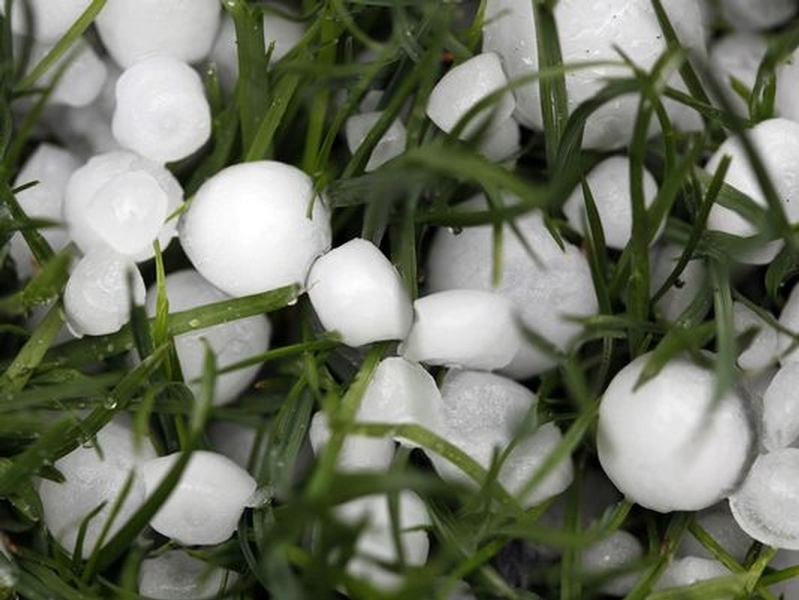 Considering that they fall from 20,000 feet or higher, large hailstones pack quite a punch! Just like you know that spring and summer in Chicago bring some rain and, occasionally, hail, you also know that hail brings nomadic roofers, often called storm chasers. If you happen to live in the area that has been hit by a heavy hail storm, you’ve definitely encountered unsolicited door knockers offering free roof inspection and cheap roof replacement. As the name implies, “storm chasers” are traveling teams of out-of-state, not properly licensed and often uninsured laborers. They are in business of making a quick buck and moving on to the next town, following the path of hail storms. Needless to say, they have far from stellar reputation. They’re known of engaging in activities such as taking large deposits and disappearing, using sub-par materials, not providing acceptable warranties, and lying about what homeowner’s insurance may or may not cover. Every consumer review site, reputable industry publication or expert blog warns homeowners about such dishonest outfits and advises to stay away from unsolicited roofing inspections by out-of-state roofers. We wholeheartedly agree with such warnings. At the same time, it’s hard not to notice a disturbing tendency: some online publications go as far as label every roofer “a scammer”, should he or she dare advertising their services to homeowners in the areas affected by a recent hail storm. Let’s take a closer look at the argument. Does it mean that “hail damage” is a scam? If so, does it mean hail is something that scammers made up and it doesn’t occur anymore; or that when it does occur, it never causes any damage? If anything, latest data show the reality is a complete opposite. In addition to the higher number of claims, the average claim severity during the past six years was 65 percent higher than from the period 2000 through 2007. A report issued by Verisk Insurance Solutions in August 2014, showed that over the 14 years from 2000 to 2013 U.S. insurers paid almost 9 million claims for hail losses, totaling more than $54 billion. Most of those losses—70 percent—occurred during the past six years. If hail does occur and, apparently, with higher frequency and capable of causing more damage than ever, then why label all roofers who attempt to contact homeowners in the hail damage area “scammers”? All they’re trying to do is show up to an area where more likely than not residents may be in need of new roofs. What a scam, right? It’s like saying food trucks should not park in the area frequented by hungry office workers or an ice cream truck shouldn’t drive around the neighborhood where lots of children live during a hot summer day. Even the most annoying kind of roofing sales people—door knockers—aren’t doing something that’s unheard of or completely uncommon to other industries. Let’s take real estate agents, for example. Despite new technology and data mining services, many real estate offices still hold door knocking as one of real estate marketing fundamentals. If a real estate agent knocks on 100 doors in their “farm”, what are the odds of finding someone who needs to sell? I’d say the odds are pretty slim and yet it doesn’t stop them from doing it. However, if a roofing specialist knocked on 100 doors in the neighborhood recently affected by a hail storm, I’d say their odds of finding a few damaged roofs are pretty good; in fact, way better than the Realtor’s in the previous example. But we don’t go around calling all Realtors who door knocks scammers, do we? The bottom line is it’s up to residents to decide who is a scammer and who is a legitimate local company with years of experience, a host of certifications, exclusive relationships with manufacturers, and generous warranties. There’s nothing wrong with being proactive and bringing value directly to your potential customers. Let’s stop labeling all roofing companies working in the hail damage space as “scammers”… as a professional courtesy and as a service to our clients.